I think we’ve waited long enough for something beneficial to come out of this project. I know that Fast Company has good intentions, but to this point it hasn’t really gone too well. So here’s how it’s gonna work from here on out: We’re taking over, and we’re going to use our “influence” to do something good – something to make a difference in people’s lives. We’re going to show the world that this can be much more than a silly popularity contest, and that we don’t have to accept the conclusions of Fast Company when they crown “the winner” (a dubious title indeed). The Influence Project–a viral experiment launched 4 weeks ago by Fast Company as part of a larger investigation into online influence and influencers–has been controversial since its first hours and continues to both unite and divide. 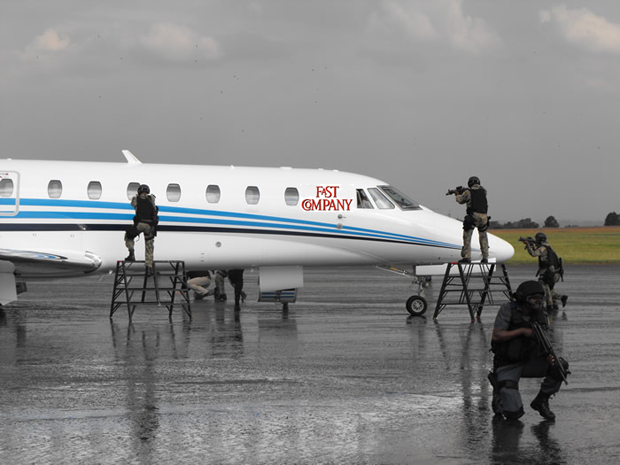 I learned of the future hijacking with the help of two sources and members of Fast Company’s editorial team. A quick Google search of “ItStartsWith.US” and “hijack” yielded a number of leads. Fast Company has yet to receive a list of demands from ISWU, and I’d like for this blog post to serve as a formal request if that seems appropriate. Perhaps at this point demands is the wrong term? Maybe this is intended to be more of a liberation or a revolution? Or maybe it’s a ruse, an intentional leak designed to get us talking about ISWU (if so, bravo!). I’ve already spoken to many of the biggest players in this project, and a large number of them are on board. We’re going to pool our collective networks together for one common goal on Wednesday, August 11th. We will help everyone in our own communities to touch hearts and change lives in a way that’s meaningful to them. To use their influence in a positive way. Just one day to work as a team and make a difference – together. We’re going to do something the world has never seen before. We’re gonna turn this ship around and take it somewhere new. Somewhere a little bit better. Because it would be a shame to waste all the energy and attention that’s already been spent on this project without doing something meaningful. Please sign up below and help us get it done. Instructions to pull this off will arrive via email. Fast Company, consider yourselves hijacked. Whether we are hijacked or no, we remain fascinated by the unexpected directions this project leads. Stay tuned as we continue to cover the events around The Influence Project, influence and influencers, and all the wild and creative action they inspire.